The New York Times highlights our olive oil and wine focused trip with Grove & Vine. 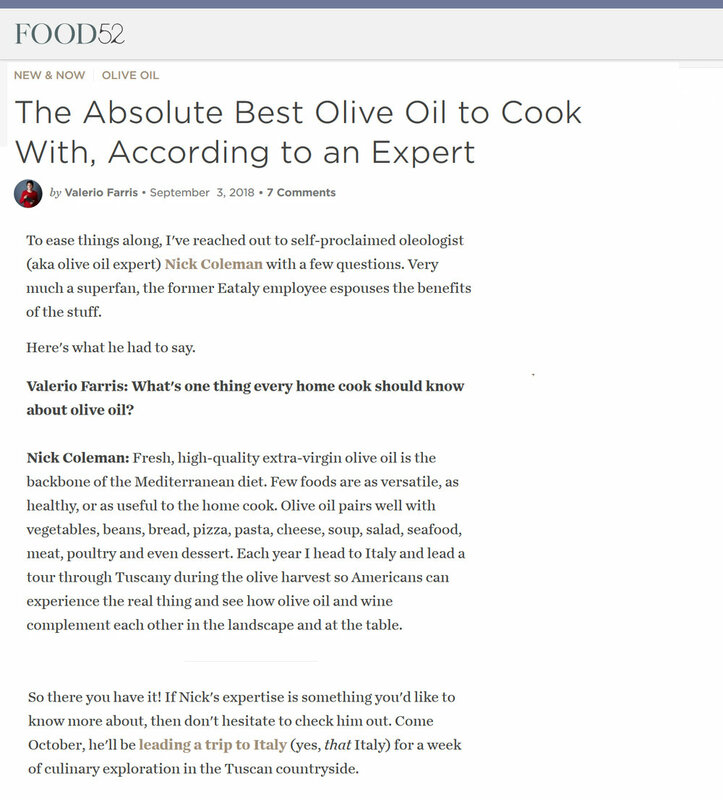 In an interview with Food52, olive oil expert Nicholas Coleman talks about our olive oil and wine retreat, where guests will experience participating in olive harvest. 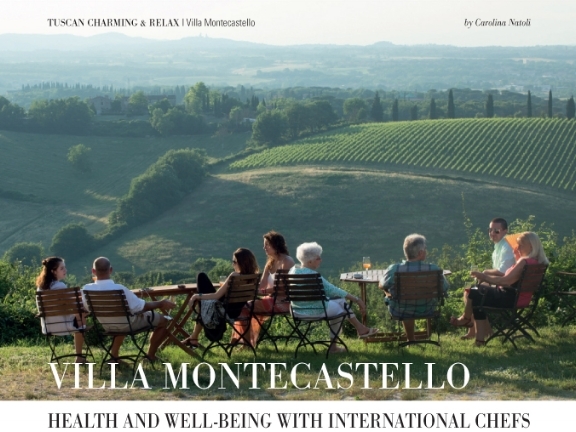 A feature about our cooking retreats at Villa Montecastello in the luxury magazine for high end hotels, Tuscan Charming & Relax. Culinary travel website, Bitesee, featured our off the beaten path Sicilian culinary adventure. New York Times featured our wine and olive oil week with Dan Amatuzzi and Nicholas Coleman in their Sunday Travel section.